I was able to "box" one rear spring perch with the welder but I am having trouble with the wire feed. Whenever I need high wire speed it seems that it doesn't have enough "push". The tensioner is tight but it seems that it slips when the wire has some resistance. I am using 3/16" plates to box the perches so I need some good wire speed. I understand that I probably didn't need this much thickness but I had them laying around, plus they were 2" wide and fit very well inside the perch. 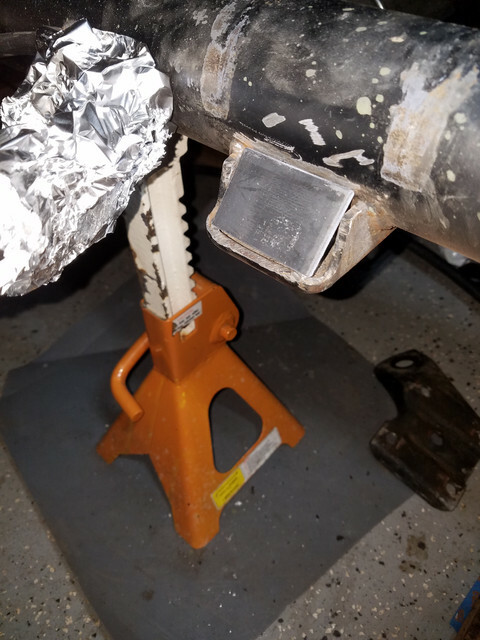 (02-25-2019, 12:33 AM)tony-muscle Wrote: I was able to "box" one rear spring perch with the welder but I am having trouble with the wire feed. Whenever I need high wire speed it seems that it doesn't have enough "push". The tensioner is tight but it seems that it slips when the wire has some resistance. I am using 3/16" plates to box the perches so I need some good wire speed. I understand that I probably didn't need this much thickness but I had them laying around, plus they were 2" wide and fit very well inside the perch. Have you changed your wire size lately? The roller on the wire feed has 2 different size grooves for different size wire. Most common used in doing the body work is .023/.025" and for the bigger structure like spring perches I would use .030" Just make sure you have the proper grooves lined up for the size wire your using. If you have the wrong grooves lined up you could have trouble with wire feeding slipping even if the rollers feel tight. I usually run my rollers just tight enough that when I hold the wire coming out of the gun with my hand the roller slips slightly. If you run them too tight the roller won't slip and the wire can bunch up in the machine right in front of the rollers where the wire goes into the liner and makes a huge mess. Definitely check your grooves and make sure your on the proper ones. How old is your machine?? Eastwood has an awesome 3 year bumper to bumper warranty. If there's anything wrong they will send you out a brand new machine. I had the cooling fan in mine go bad after 3 years and 2 months. I called them up to order a fan. They took my information and sent me a brand new welder. I have used the piss outta mine over the years and that was the only failure I ever had with it. Mine had got to be getting close to 8-10 years old now. Thanks Kevin. I have had the 030 wire there for a while since most of my welding these days is thicker body panels. I know the roller you are taking about and I double checked and it was in the thicker groove. I noticed that the steel roller that is above the driver feels greasy. I am cleaning it and then increasing the tension further to see if the drive improves, but keeping in mind not to make it too tight as you suggest. I think it could be a combination of those two issues. As of late I have not used the welder for such thick plates so I have not needed that high of a speed. The problem seems to be with a speed of 6 or higher. -Building a custom vacuum pump and reservoir system for the brake booster. This took way a lot of time but I wanted a system that is partially hidden so it took a lot of work and testing. The tank gets vacuum from the engine as well as from a pump. The idea came from here: https://www.powerperformancenews.com/tec...m-booster/. I had to use a different vacuum switch since the one recommended there is junk. I located the new vacuum reservoir where the stock one was and the pump underneath. The reservoir now feeds the brake booster and the A/C. Once I get a chance to test the system with the brakes I will start a detailed thread. I already tested the vacuum and all connection and it seems to work, but the big test will be with the brakes. The vacuum range is between 17 and 20 mmHg. -Fitting Duraspark distributor: adjusting the gear depth by removing material from the flange, limiting mechanical advance to 20 deg, and limiting vacuum to 10 deg. -Raise the throttle plate on the manifold so it is aligned with the EFI linkage. Blue Thunder manifold is taller than stock. -Build adapter for the shifter. -In the process of completing a custom built driveshaft safety loop. -Getting ready to replace leaf springs with Maier 4.5 leaf springs. Hence the last post about boxing the spring perches. -Getting ready to replace third member and axles with Strange components. Last night I finished boxing the leaf spring perches and installed the Maier 4.5 leaf springs & Bilstein shocks. Here is a thread that I started asking questions about the U-bolts (https://www.7173mustangs.com/thread-leaf...#pid340786). 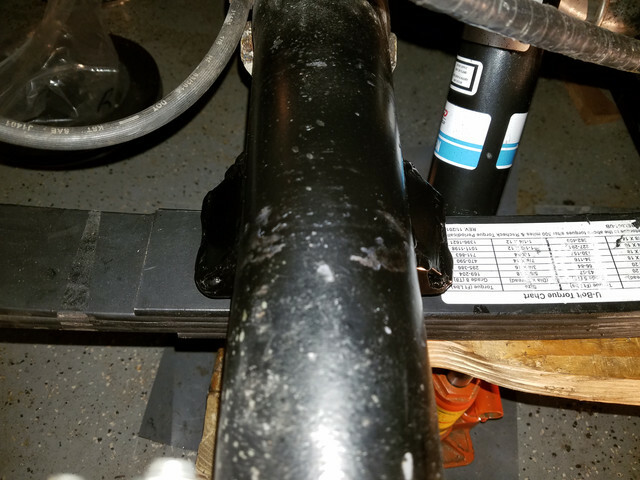 I used the Dayton 361-450 U-bolts that are 1/2" in diameter. This involved drilling the spring plates to 1/2". In that thread it was suggested to box the perches. After some searching online I saw pictures of what can happen to the perches when a lot of torque is applied to the axle during launch. I didn't feel I had to weld the whole reinforcing plate. The weld is a bit sloppy, but I also did it in steps - not continuous. I didn't want to overheat the axle too much. I also did alternating between the front and back sides of the perch always cooling with compressed air. It still got hot, but I don't think it gets hot enough to create any major warping. The plates were 3/16" thick. Great build thread Tony, with lots of sub-threads to navigate through. Well done ! Your persistence and patience shines through so kudos for you for having a plan and sticking to it. Hope i can demonstrate the same level of commitment even when it gets tough for my rebuild. On the welder front if you're not seeing any power check the obvious, the fuse (s). Don't know enough about Eastwood products but should be similar for all welders. I've had to replace mine a couple of times previously probably due to the household wiring. Thank you. After cleaning the rollers that drive the wire it improved. I also incresed the torque of the tensioner. 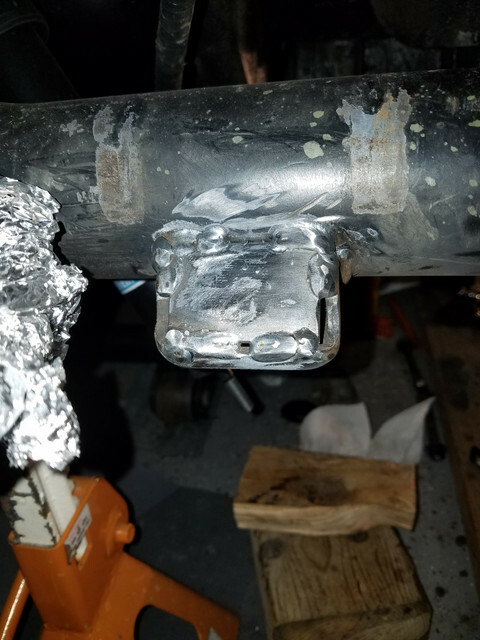 I was able to weld with no problems at a "7" speed.